The easiest way to distribute multiple sources or channels of video up to 1080p resolution to an unlimited number of displays over almost any distance. The HDbridge series converts composite, component, VGA, unencrypted HDMI, and even HD-SDI sources into a signal that is sent to your display’s digital tuner as well as an IP network. With an HDbridge, you can send your content to an unlimited number of displays and combine multiple units to enable over 100 different sources via a single coax cable. This solution is ideal for anyone looking for an easy and affordable way to support many displays with dynamic content such as a sports bar, house of worship, or using digital signage. Up to 1080P Resolution – The HDbridge2800 series can distribute video in nearly any resolution from an unencrypted HDMI source up to 1920×1080. Unlimited Displays – Using the HDbridge, there is no limit to the number of displays that you can use. The HDbridge converts your unencrypted HDMI video sources into private television channels that can send content from 2 to 2000+ displays connected through coax over nearly any distance. You can combine HDbridge units to support over 100 different channels on your network. LCD Colour Front Panel Control – The HDbridge 2000 series has an easy to read LCD colour front panel that makes it easy to set up and monitor your channels, check firmware, and identify IP addresses without a computer. The panel will show green, yellow, or red colour bars on each channel to show the status of video and audio content being shown, as well enable easy adjustment of RF power and audio delay to ensure a perfect picture and sound on every screen. Emergency Alert System – Add an extra layer of safety to your facility by using the built-in Emergency Alert System. The ZeeVee Emergency Alert System (EAS) can tie systems into national or local alert systems. ZeeVee processes alert sent with either EAS-NET or MPEG streaming. When an alert is active, all current audio and video will be interrupted and replaced with the alert. Create your own custom channel with ZvShow – The HDbridge 2000 provides an extra channel to enable you to offer customized content on your displays in addition to your video source. This is in addition to the channels that are already included in each model. ZvShow will play a video file (MP4, WMV, MOV) on a separate channel to enable you to use your displays to play commercials, display menus, or as digital signage. Simply change the channel on the display to select what content you want to see on your display. Add a Digital Tuner to your display with ZvSync – Have a projector or other display that doesn’t have a QAM or digital tuner? No problem. The ZvSync (sold separately) enables you to connect any display or projector to the HDbridge encoder coax connection and receive crystal clear video up to1080p resolution just as if your display was built with a digital coax tuner. 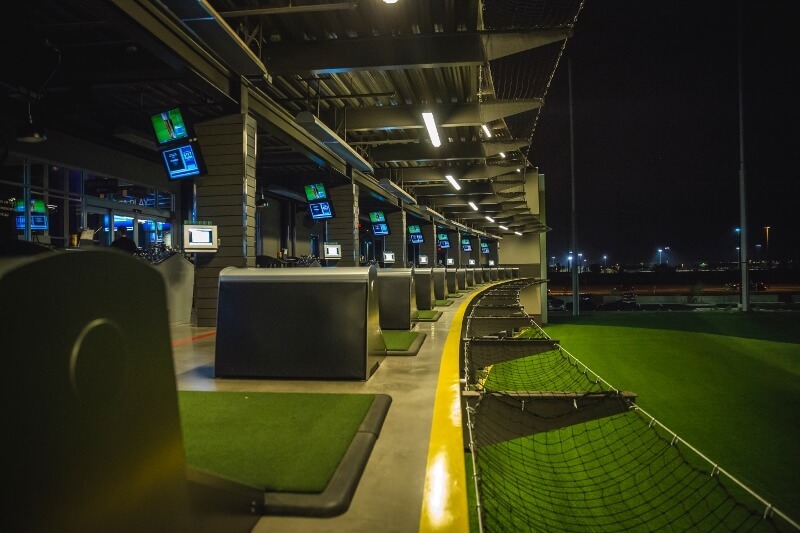 Perfect for sports bars and house of worship applications that use projectors and televisions in the same space. Setting up your channels is a snap with Maestro – The ZeeVee Maestro software makes it simple to set up and manage your content and channels from anywhere on your network. 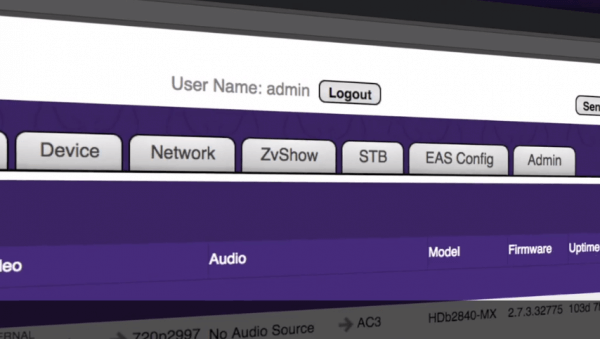 Simply open your web browser and connect to the IP address on any ZvPro or HDBridge encoder and you can assign channel numbers, label your custom channels, and troubleshoot problems right from your desk or anywhere you have network access. 5 Year Warranty – ZeeVee provides a 5-year warranty on all HDbridge and ZvPro products. 1080p Unencrypted HDMI Encoder / Modulator –Distribute four sources/channels HD video directly from any unencrypted HDMI source up to 1080p resolution to an unlimited number of displays over almost any distance. The HDbridge 2800 series converts your unencrypted HDMI output into an RF signal that is sent to an HDTV display’s QAM digital tuner over coax cable. That means that you can send your content to an unlimited number of displays over nearly any distance – and change sources on any display simply by changing the channel on the display, virtually eliminating the need for a traditional AV matrix switcher. 1080p HD-SDI Encoder / Modulator – Distribute HD-SDI sources/channels of HD video up to 1080p resolution to an unlimited number of displays over almost any distance. The HDbridge 2900 series converts your receiver’s HD-SDI output into an RF signal that is sent to an HDTV display’s QAM and DVB-T/C digital tuner over coax cable. That means that you can send your content to an unlimited number of displays over nearly any distance – and change sources on any display simply by changing the channel on the display – virtually eliminating the need for a traditional AV matrix switcher. SD Video Encoder / Modulator –Distribute 12 sources/channels of standard definition video to an unlimited number of displays. The HDbridge 2300 series convert SD video and analog audio sources into an RF signal that is sent to a display’s QAM or DVB-T/C digital tuner over coax cable – just like a traditional cable box. With its high 45 dBmv RF output, you can send your content to an unlimited number of displays over nearly any distance. Card Frame Encoder / Modulator – Ideal for organizations looking for an easy and affordable way to create a digital head-end for distributing large numbers of AV sources to an unlimited amount of displays, the HDbridge3000 provides a reliable way to deliver multiple channels of video simultaneously within a compact 3RU footprint. Whether you are distributing SD or HD content, over RF or IP, the ZeeVee HDbridge 3000 provides the flexibility needed. The HDbridge3000 is modular with hot-swappable cards, allowing you to mix and match cards with different interfaces and resolution as needed. Populate the chassis with up to 72 channels of SD over RF, 24 channels of HD over RF (with the optional IP streams) or 48 channels of H.264 IP streams. Combine multiple HDbridge3000 units to increase the number of channels. Unencrypted HDMI Media Module – Delivers up to 24 channels per Chassis. The flexible, modular design of the HDbridge3000 provides 12 media slots with the flexibility to mix-and-match unencrypted HDMI, component / VGA, and composite cards, making it ideal for professional-grade video distribution. This media module outputs 2 HD signals in QAM or DVB-T/C over RF networks (with optional simultaneous IP out). Composite Media Module – Delivers up to 72 channels per chassis The flexible, modular design of the HDbridge3000 provides 12 media slots with the flexibility to mix-and-match unencrypted HDMI, component / VGA, and composite cards, making it ideal for professional-grade video distribution. HD-SDI Media Module – Delivers up to 24 channels per chassis The flexible, modular design of the HDbridge3000 provides 12 media slots with the flexibility to mix-and-match unencrypted HDMI, component / VGA, composite, and HD-SDI cards making it ideal for professional-grade video distribution. H.264 Media Module – Delivers up to 48 IP channels per Chassis The HDbridge3000 provides a highly flexible solution for delivery of nearly any video/audio content all within a compact 3RU footprint.